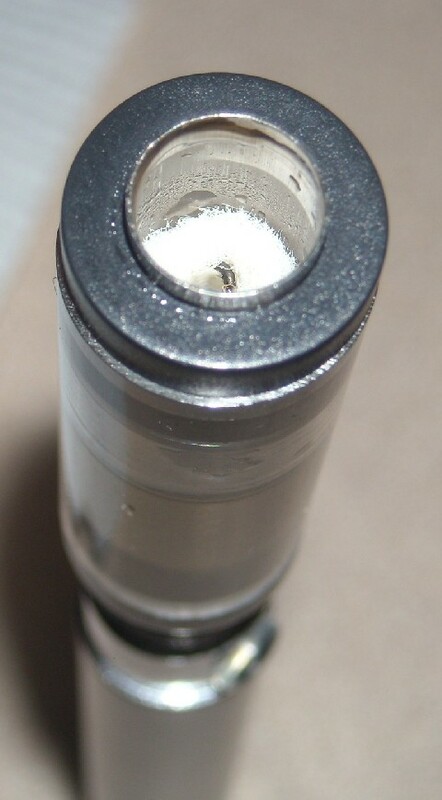 A top view of a carto (cartridge atomizer). The white material is the wicking. You can see the air tube at the center. The black wire is the wire leading to the top heating coil. The wire to the lower coil and the one to the center of the coils are buried in the wicking. The mouthpiece is inserted in the top of this tube.